Is Your New Year’s Resolution to Put an LPA in Place? Is your New Year's resolution to put an LPA in place? Most people know that they should write a will, but too few people know that they should also consider something called a lasting power of attorney (LPA), and if they do, then often don’t do anything about getting one in place. By 2025, more than 1 million people in the UK will have dementia, according to the Alzheimer’s Society. However, other events can lead to a loss of mental capacity such as a car accident or sporting/holiday misadventure which are far less easy to predict. Handling one’s own financial affairs once incapacitated becomes very difficult – which is why it is sensible to recommend that anybody making a will should also plan ahead to ease the potential burden on relatives should they suffer a permanent mental capacity change. A LPA gives another individual the legal authority to look after specific aspects of your finances or health and welfare, should you lose the capacity to do so. It’s not just for the elderly; young people may become incapacitated through accident or illness. If you do not have an LPA in place and later become mentally incapacitated, relatives may face delay and expense in applying to the court of protection for a deputyship order to get access and control of your assets and fi nances. LPAs are designed to be recognised by fi nancial institutions, care homes and local authorities, as well as tax, benefi ts and pension authorities. They are legal documents that can be set up relatively cheaply, with or without the help of a solicitor. You should consider having one alongside your will. LPAs were introduced in October 2007, replacing the previous system of enduring powers of attorney (EPA) – although an EPA created before October 2007 remains valid. There are two types of LPA: one that can cover decisions about money matters and one that can cover decisions about healthcare. A person administering a property and fi nancial affairs LPA can make decisions on things such as buying and selling your property, dealing with your bills, running your bank accounts and investing your money. If you give them a personal welfare LPA, they can generally make decisions about where you should live, how you should be treated medically, what you should eat and who you should have contact with. You may choose someone you trust as your attorney. It is their duty to make all decisions in your best interests and they must follow certain principles set out in the Mental Capacity Act aimed at making sure you are encouraged to make your own decisions where possible. Why not therefore make it a New Year’s resolution to put an LPA in place for yourself. Edward is a Partner in the Private Client Department. 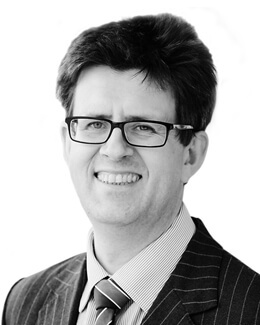 He started practising Private Client Law in 2000, initially as a solicitor in a well-known firm in Tonbridge and thereafter with several well-known East Sussex firms before joining Buss Murton in July 2014. Edward became a Partner in 2015. He advises and acts on all aspects of Inheritance tax planning and Capital Gains tax planning. He also acts in Probate administration matters and post death Variations for Inheritance tax and Capital Gains tax purposes. He also regularly advises clients regarding the making of their Wills, Powers of Attorney, Lasting Powers of Attorney, Declarations of Trust with respect to client’s properties. He undertakes the full range of advice and work with respect to Trusts and advises on associated tax implications of those actions. He also advises generally on (tax) domicile and residence issues. He regularly advises and acts on the registration of Lasting and Enduring Powers of Attorney, the making of Statutory Wills and gift applications at the Court of Protection. The ‘Baby Boomer’ generation, intergenerational wealth and concerns re financial prudence.